The findings of an international study led by Australian researchers will influence how doctors treat Multiple Sclerosis (MS) around the world. The study’s findings give reassurance to Australian patients that relatively new therapies being offered locally are highly potent and effective, and open up options as to which therapy can be used, in order to gain greater control over the disease. Currently, more than 23,000 Australians are living with MS. Results from the study were published in internationally-respected medical journal The Lancet Neurology on 10 February 2017. “Many people with multiple sclerosis experience disease activity despite being treated (such as relapses, new lesions or worsening of disability) and need to switch to more effective therapies. This study is about finding the right treatment for the right patient at the right time. That is the advantage of a major real-time study like this,” said study leader, Dr Tomas Kalincik, Neurologist and senior researcher at the Royal Melbourne Hospital and the Department of Medicine, University of Melbourne. The global study compares the effectiveness of four therapies being prescribed to treat patients with relapsing-remitting MS treated for up to five years. These therapies are alemtuzumab, natalizumab, interferon beta and fingolimod. The study provides a ‘real time’ head-to-head comparison of efficacy of several therapies in a broad spectrum of patients – something which cannot be extracted from clinical trials of a drug. The findings suggest that people with poor response to other therapies can improve the control of their disease by switching therapy to natalizumab or alemtuzumab. “If I were a patient fighting MS, I’d want to know which therapy can best help me. This study gives me and my neurologist invaluable information to help make that choice,” said Dr Kalincik. Alemtuzumab might be considered the ‘new kid on the block’ in Australia, having only been available to patients since 2015. This is the first longitudinal study to compare its potency and effectiveness in suppressing MS activity to other highly potent therapies - fingolimod and natalizumab. The study showed it to be more effective than fingolimod in mitigating relapse activity in a patient. Natalizumab is shown to be as equally effective as alemtuzumab in control of MS. The only difference in efficacy is that natalizumab gives patients a slightly greater chance of recovery from some of their disability than alemtuzumab during the first year of treatment. “These findings give great comfort to patients and doctors alike, as they inform neurologists in their choice of the most effective treatment for their patient at any given point,” said Dr Kalincik. 19 hospitals and MS Centres in Australia actively participate in MSBase, including: Royal Melbourne Hospital, Royal Prince Alfred Hospital, Royal Adelaide Hospital, Royal Hobart Hospital, Sir Charles Gairdner Hospital in Perth, Royal Brisbane and Women’s Hospital. The study was funded by the National Health & Medical Research Council, Australia. 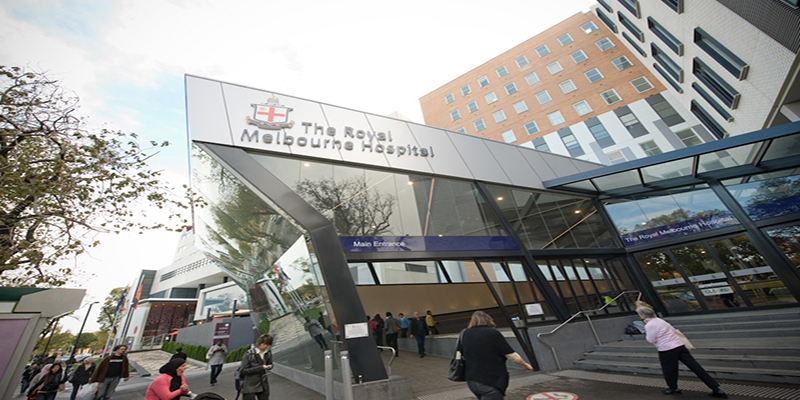 The Royal Melbourne Hospital: Rosemary Vine, p: 9342 7814 or mob: 0409 120 540.